Branches Winery has opened up off Highway 14/61 and just minutes from the Westby House Inn in Westby. The rural Westby winery is offering four wines made from their grown grapes. Complimentary wine tastings and winery tours are available Friday, Saturday and Sunday. The wines are their Explorer made from Marquette grapes, Coulee Crisp -La Crescent Grapes, Vine Dance a sweet wine from Edelweiss grapes and the fourth wine is Flying Geese made with Frontenac Gris grapes. 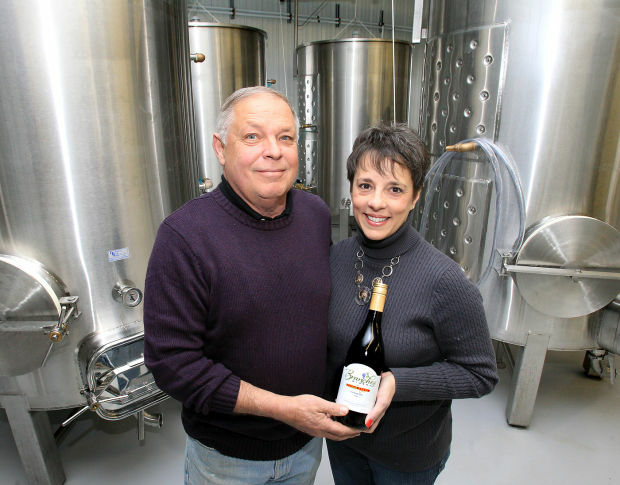 Gene and Therese Bergholz, owners of the winery, chose the local favorite Cranberry to highlight in their Celebration Berry wine. A must visit during any stay at the Westby House Inn. Here is an article on the winery that ran in the La Crosse Tribune .